Apparently, we are all over you with upcoming 8 Series. But that is happening for a reason, you know? Apart from a legendary mid-engined M1 supercar, 8 Series that burned the tarmac during the 90’s is probably the shiniest spot in Beemer’s history. Heavily luxurious and propelled with V8 and V12 gas guzzlers, 8 was BMW‘s ultimate view of the grand touring world. But, despite 850 CSi model hide 5.6-liter V12 under the hood, which delivered at the time highly respectable 375 hp, it never fully blossomed. Yes. Mentioned V12’s power was remarkably high, but German carmaker dreamed of higher. M version was in preparation dealing with the same V12 but forced to produce as much as 558 hp, which was enough to easily rival Ferrari products of the time, who’s output figures were much lower from mentioned one. If the idea of BMW competing with Ferrari seems silly, don’t forget that in the same era Honda managed to bring it back to drawing boards with NSX. Still, it never happened, mainly thanks to global recession at the time and Saddam Hussein’s decision to invade Kuwait causing oil price shock, which all together heavily influenced slow sales of regular 8 Series, pushing Germans to the conclusion that there is no lucrative spot for something as M8. For all those preserving 90’s anger caused by lack of M treatment, a sign of relief is on the horizon. 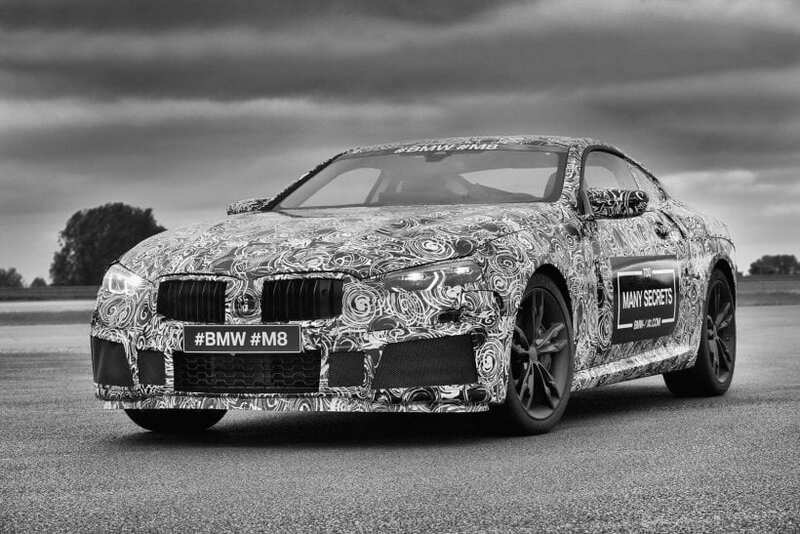 Upcoming 8 Series is definitely coming with proper M badges, and according to brand officials, both versions are developed simultaneously. That means that hottest “blue propeller’s” letter is possibly going to debut along regular version or shortly after it during the next year. And to reassure you in all of this, camouflaged prototype appeared at Nurburgring 24-hour race and gave all the present a bit of exhaust melody. Which brings us to the main question, what does it hide under the hood? We mentioned that glorious predecessor carried only V8 and V12 power under the bonnet. 2019 BMW M8 is definitely not going bellow that number of cylinders, but it is kind of sweet troubling us in getting the correct number. We have two contenders for the throne. 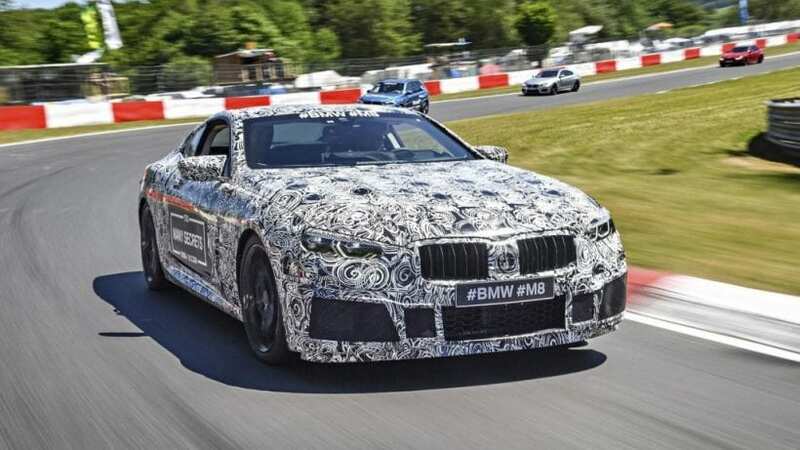 Revised twin-turbo 4.4-liter V8, set to arrive in new M5 with power boosted to over 600 hp or twin-turbo 6.6-liter V12 with 601 hp in the best case, currently residing under M760i’s and Roll’s bonnets. We would be satisfied with both of them, giving maybe slight edge to V12 purely because of sublime melody produced with an ultimate number of cylinders. Other things should mimic stuff from upcoming M5, like 8-speed automatic ZF shifter and AWD. Before you get angry, do note that mentioned ZF thing is industry’s best in its area of conventional automatics, before it comes under M badge it undergoes special tuning, and it is way smoother than 7-speed dual clutch unit used before with just slightly slower shifts. And again before you get angry about the introduction of AWD into M world, acknowledge that for this vehicle German brand was smart enough to let you choose. You can fully exploit the fact that power is sent to all wheels and use all that grip for magnificent lap times or choose sportier modes, cut much of the power intended for front and drift it as long as you wish. At least this time, it appears that BMW’s newer approach is doing something right, and let’s hope that rest will follow the same story.